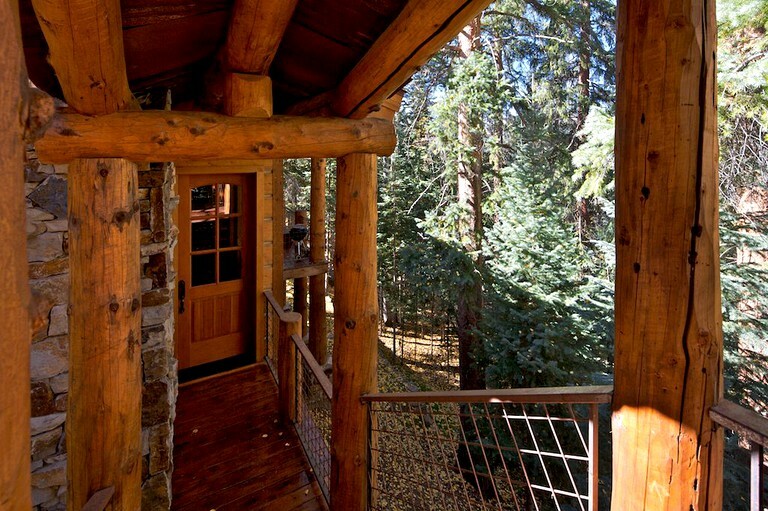 The cabin, with its wrap-around deck and open interior, is the perfect incarnation of a quintessential mountain rental in Colorado. 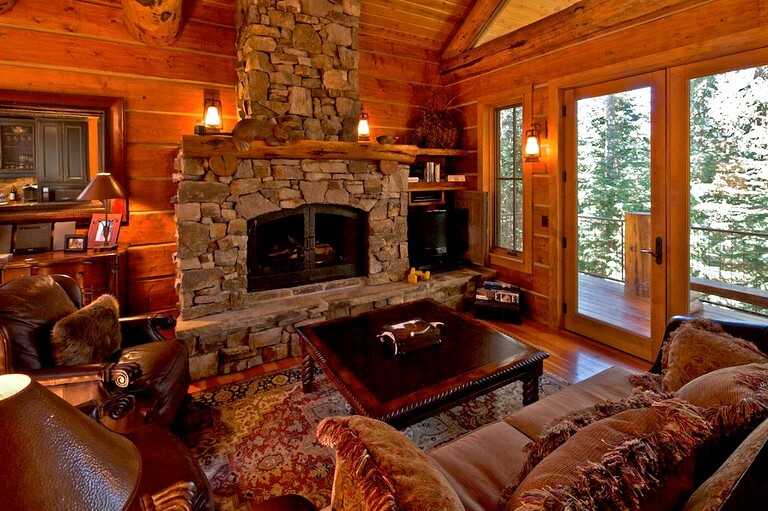 Furnished with plush, luxurious sofas, a leather coffee table, and a tall, log-burning stone fireplace, the living room looks like a cabin for alpine royalty. 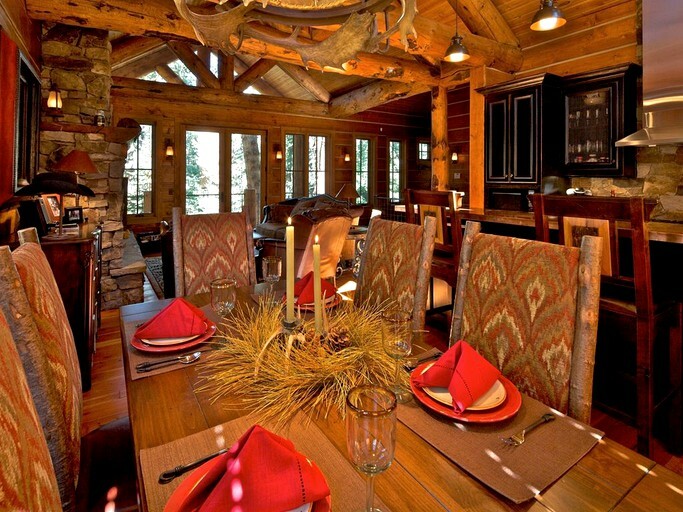 It's high wooden ceilings are supported by thick log beams, with moose antlers hanging over the dining room table. 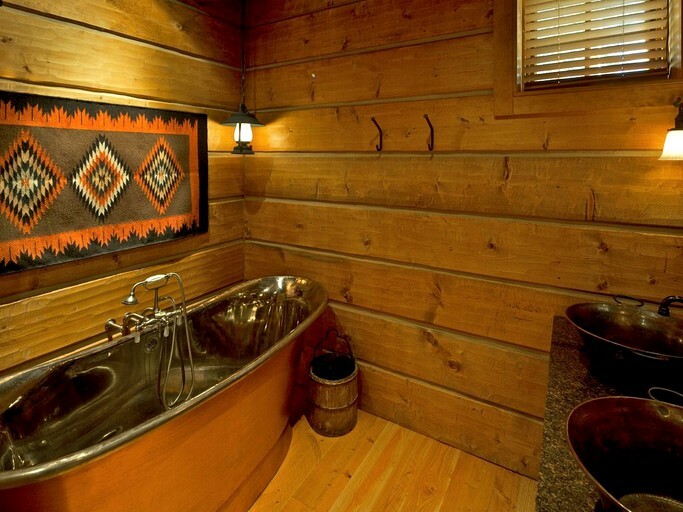 The private bathrooms are equally lavish and interesting, with a long silver-lined bathtub and copper sinks set against the rustic cabin walls. 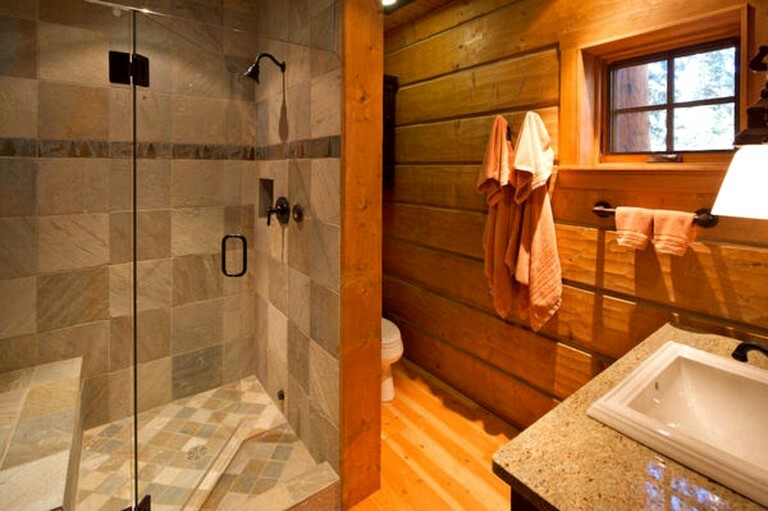 Each bathroom has a steam shower and connects to a bedroom, with a third bathroom available for guests as well. 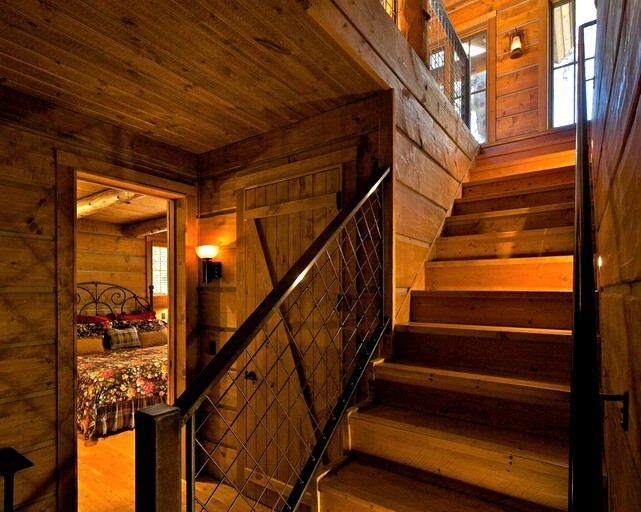 The downstairs queen-sized bed sleeps two, while the other bedroom is furnished with two twin beds and a door that leads to the outside pathway. 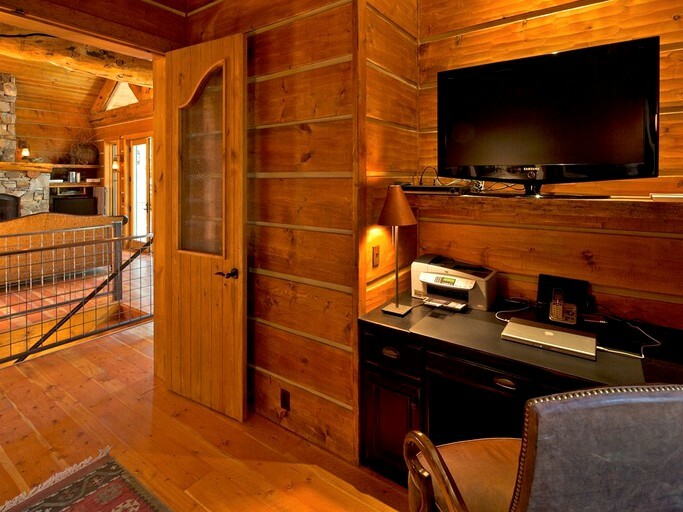 Upstairs, glampers can use the cozy office to read by the window, watch television, or sleep, as the room can be converted into a third bedroom. 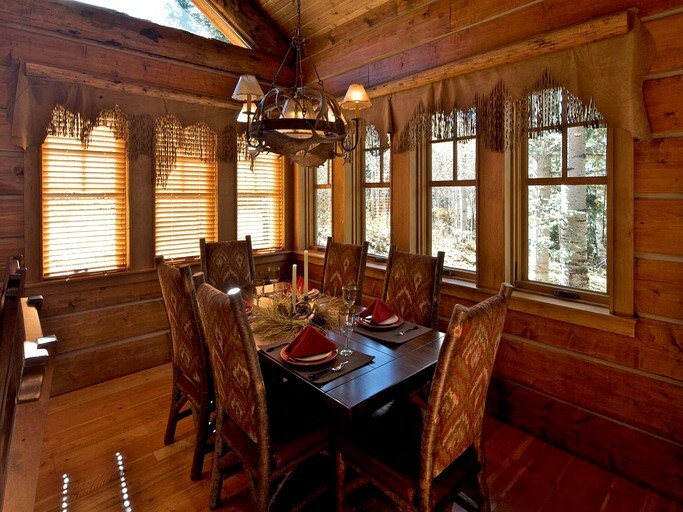 With its many windows and doors accessing the woods outside, guests will feel close to the beautiful nature of Mountain Village at all times. 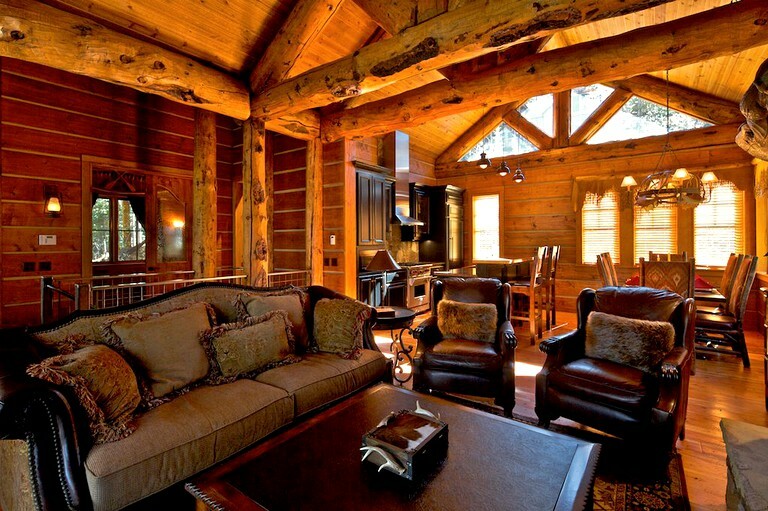 The house also comes with free Wi-Fi, a stereo, four televisions, and DVD players for every TV. 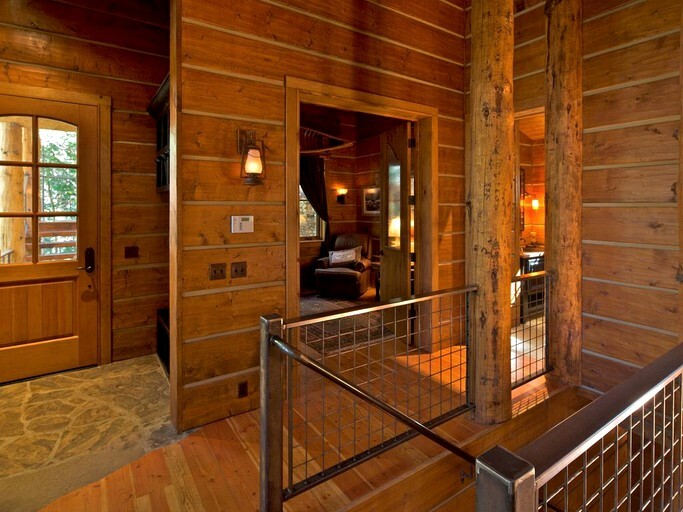 The private mountain cabin sleeps six people, tucked away on its own lot in the woods in Mountain Village, Colorado. 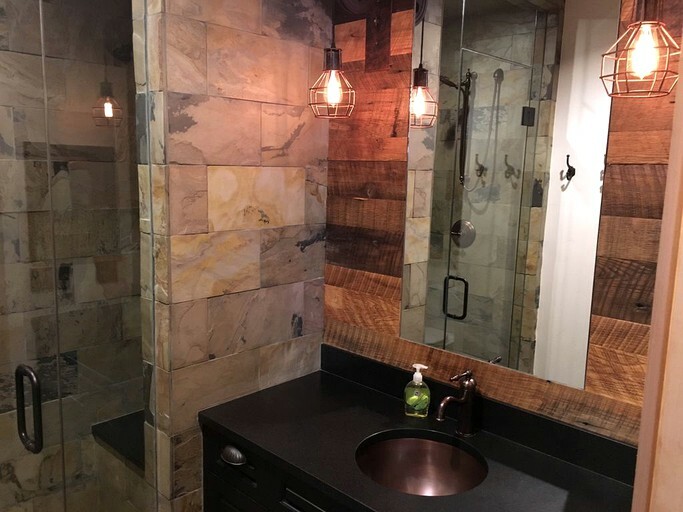 This two bedroom, three bathroom property comes with a two-car garage and a range of high-end appliances and fixtures. 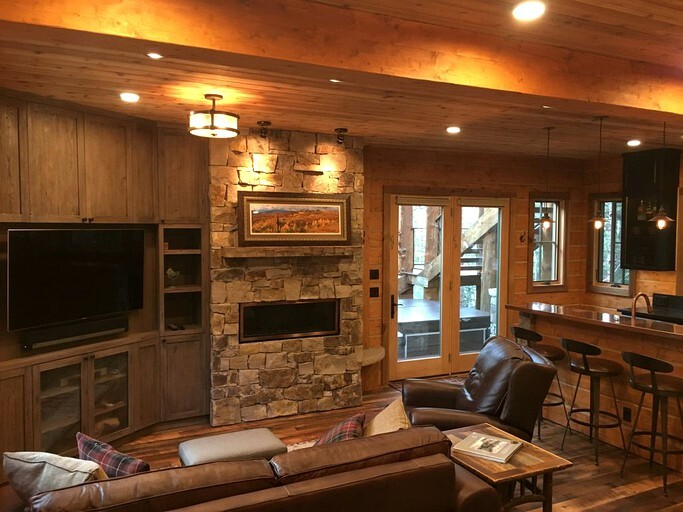 From the stone fireplace in the living room to the wood floors with in-floor heating, guests will easily escape the cold when they come in from skiing in Telluride. 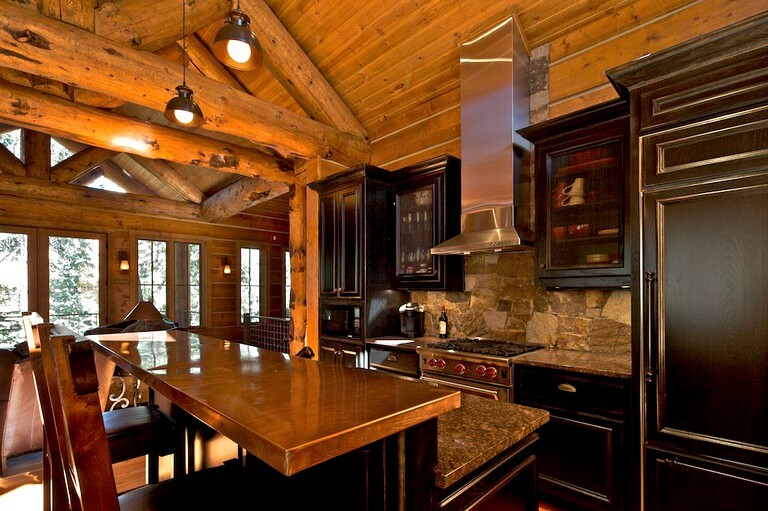 The Sub-Zero refrigerator and Wolf Range stove-top complete the fully furnished kitchen, with its copper countertops, coffee-maker, microwave, oven, dishwasher, and even spices. 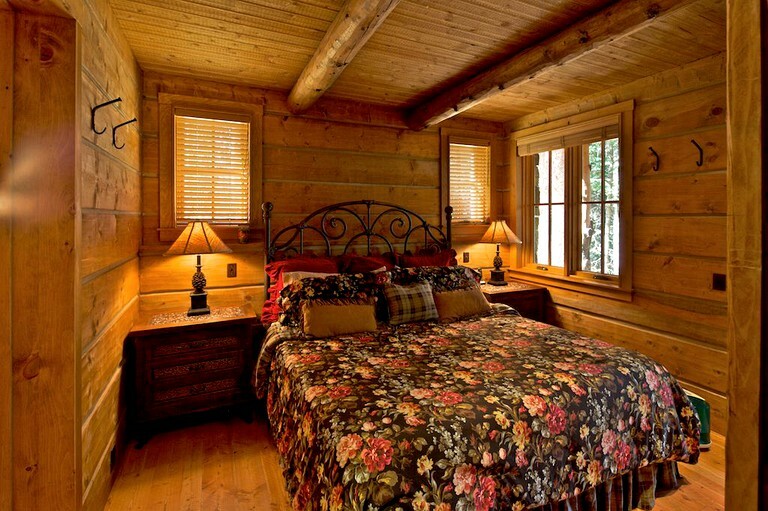 The office also comes with a blow-up mattress, so visitors can accommodate more guests if they need to. 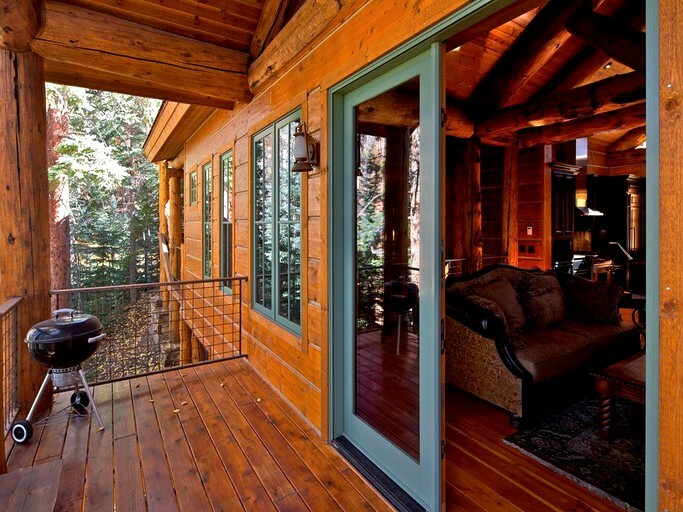 The wood-furnished deck grants stunning panoramas of the mountains and pine trees surrounding the lodge. 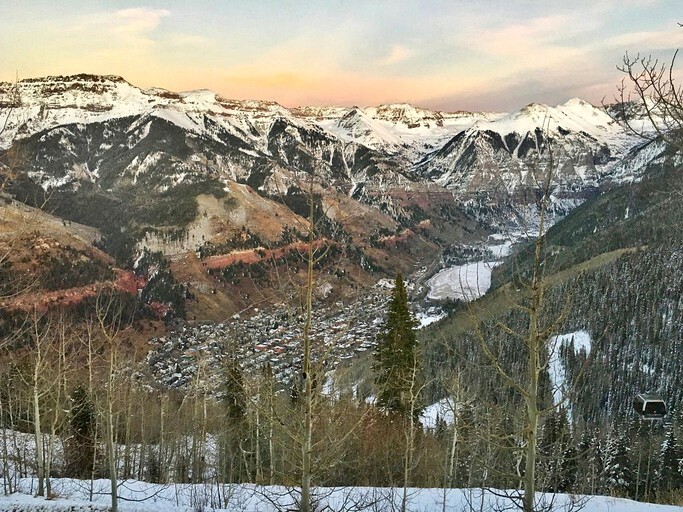 With the free Dial-a-Ride shuttle service and nearby gondola into the Telluride box canyon, guests can come and go into either town at their leisure. 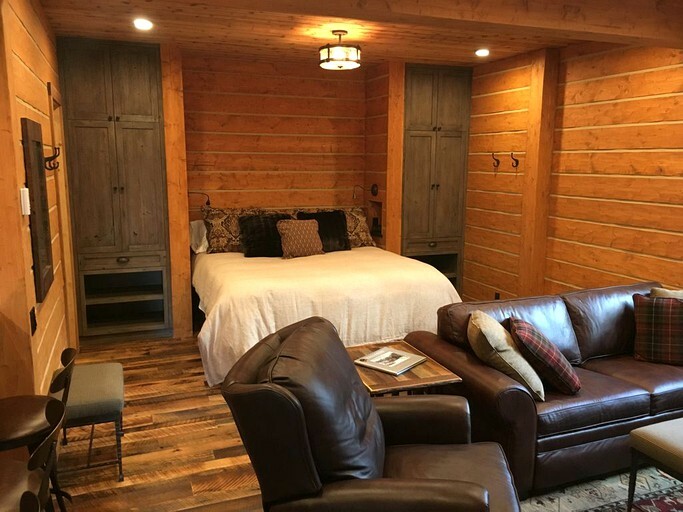 Guests will also have the option to book an additional guest house equipped with a king size bed and pull out queen for an additional charge. 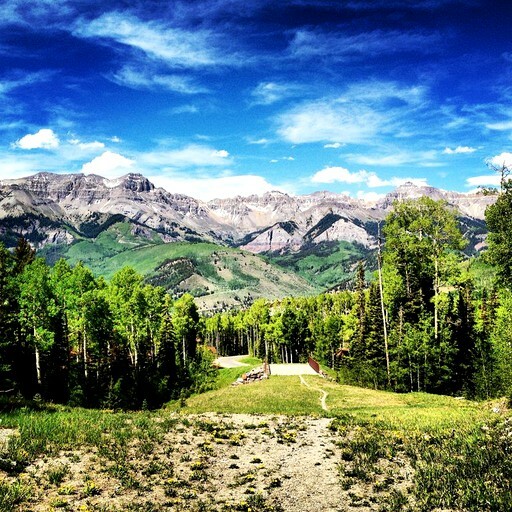 Telluride, Colorado, is renowned for its exciting ski runs, abundant wildlife, and sublime mountain views. 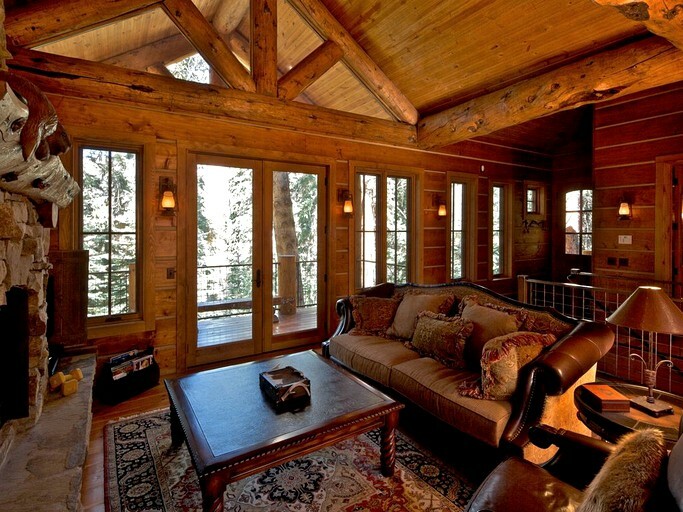 In the winter, lodge guests can take full advantage of the ski town, which is situated in the heart of the San Juan Mountains. 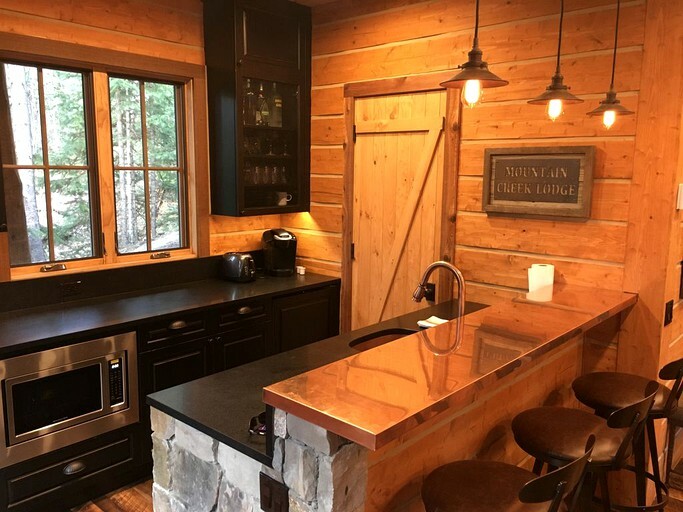 The lodge itself is located at the end of a cul-de-sac overlooking a running stream, so glampers will have their privacy in the cozy wood cabin with the town just a short ride away. The local grocery store is also only a mile down the road. 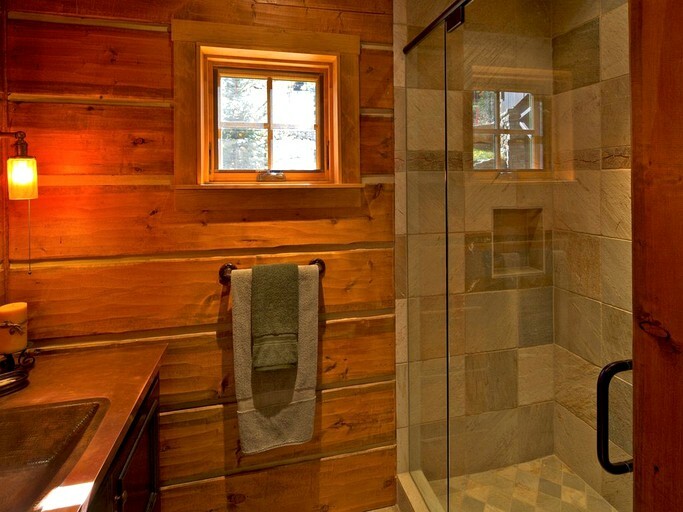 Though the cabin is fully stocked to accommodate glampers who are looking for a weekend tucked away in the mountains with only their family or friends, the Telluride area is also a highly active place with a wide range of activities to choose from. 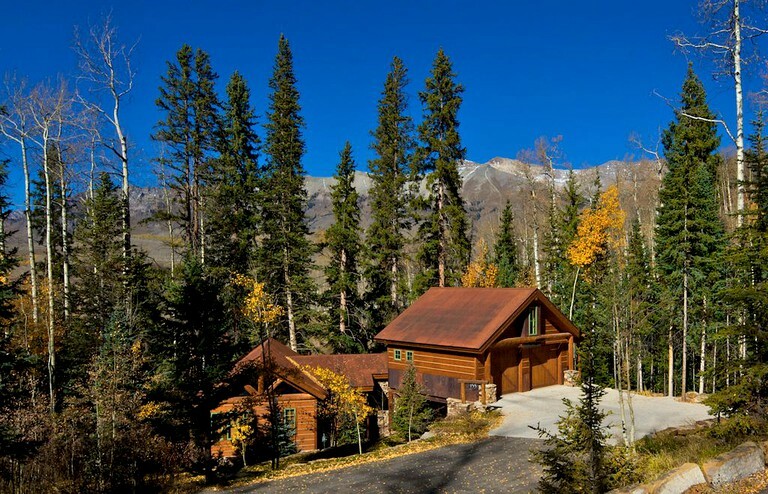 Mountain Village itself is situated at 9,500 feet in the San Juan Mountains, with elevated stone buildings and log cabins surrounding the main town square. The town has great restaurants, serving American cuisine, Italian pizza, brewpub food, and Thai, to name a few. After taking the gondola into Telluride, guests can take advantage of the snow and the slopes. 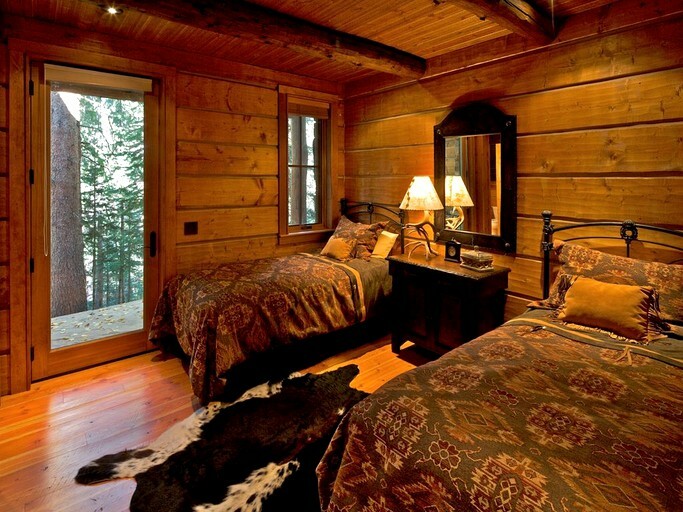 Guests can go skiing, snowboarding, snowmobiling or snowshoeing in the San Juan backcountry, or stay around town and go ice-skating, eat, or shop. During the summer, visitors can also choose from medley of outdoor activities, from fly fishing, white-water rafting, or kayaking on the San Miguel River, to mountain biking, hiking, and bouldering in the mountain range itself. 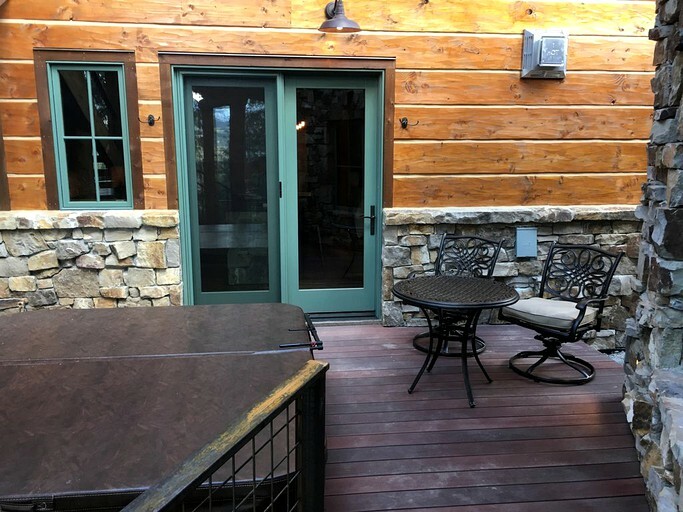 Golf, disc golf, and platform tennis are also available for guests throughout the day in Mountain Village and Telluride. There is a refundable damage deposit of $1,000 at this property. 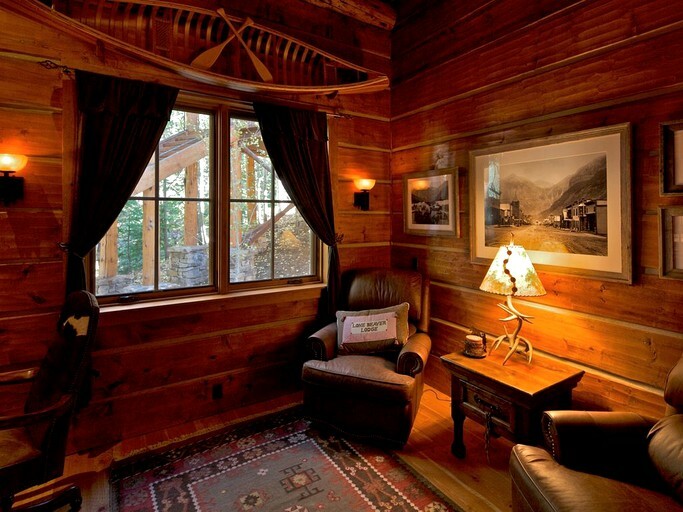 Guests can book the guest house for an additional fee of $400 a night.